In Barbados only about 5% of houses constructed every year are actually being waterproofed. That would leave many homeowners looking for waterproofing contractors when their residence starts to show structural problems. Some homeowners would wait for the last minute before calling a Barbados waterproofing contractor. At this time, water, moisture and humidity have already taken toll on the structure, and even on the foundation of the building. Do your homework and research the contractor you are interested. You could check their background by visiting their websites, talking to previous clients or customers. You could ask the contractor for references. Check how long they have been in the business. You would like to have a solid and experienced company solving your problems. Ask about the warranty they are offering; in case something goes wrong with the project like reappearing cracks. Know your home and the areas that need working. This would help when you start talking with the contractors about the waterproofing project. There are some homeowners and building managers that would ask a contractor for a project proposal before taking any steps. By doing so, homeowners would have an idea of the waterproofing processes their house will undergo. Once waterproofing starts, pay attention on the contractor’s work and if they are sticking with the proposal. If they would be deviating from the proposal, they should at least, inform you and provide you enough reasons for their actions. In Barbados these days waterproofing is not only an investment for your property but it would also ensure the safety and health of you and your family. Hiring the right contractor would help you achieve these objectives. Homeowners and building managers would find themselves calculating possible expenses of having their property waterproofed. There are numerous reasons why you should spend on a good waterproofing system. In Barbados like most parts of the world, exposure to weather conditions like heavy rain and sunlight could cause structural problems. If you have a wooded deck and it is not properly waterproofed, you would notice discoloration, water stain, rotting and fungi growth. Walls not properly waterproofed will give in hydrostatic pressure creating cracks and leaks on walls and floors. Humidity and moisture is what molds and mildew want. Mold and mildew could cause respiratory problems like asthma and also trigger allergic reactions. There is no way to remove these fungi’s spores inside the house, the only thing that could remove such growth would be to control moisture. There are various kinds of insects, water bugs, cockroaches, beetles, and critters that find heaven in damp areas. These insects could cause damage not only to the foundation but also to important things stored in the room. You will feel more at ease about leaving your home for a few days of vacation. You do not have to worry about returning to a flooded house or basement in you have, not many houses in Barbados are built with basements. Don’t sacrifice a good night sleep because of fear of arriving heavy rains. Waterproofing may be expensive, especially if you are looking at years of structural deterioration. But quality and safety should never be sacrificed because of cost. Homeowners would eventually find out that quality waterproofing could save them money in the long run and at the same time enjoy their homes to the fullest. Most homeowner’s problems about water seepage could be attributed to inevitable seasonal conditions like rapid runoff. Unfortunately, it would be right through your walls. You do not need to always look at those expensive drainage and excavations whenever you need to remedy water seepage problems at your walls. When you look for an effective product or material to eliminate water seepage in your wall, remember that a waterproofer would do, instead of a water sealer. Obviously, there are significant differences between the two. Water sealers are only repelling water. They would not actually stop water penetration through the walls. On the other hand, waterproofers penetrate the surface of walls and bond to the masonry. This way, they could serve as integral barriers that would completely arrest or stop water seepage. Take note that waterproofers are not like ordinary paints, which merely adhere to wall surfaces so that oncoming water pressure could easily force them off. If there is a wet basement wall, you should take it as a sign of a much larger problem. Remember that water coming through could come from several types of possible sources like blocked drainage pipes, improper grading, leaky gutters or downspouts, or ruts that could direct runoff at the ground toward the building foundations. You should immediately seek to correct the problem or else you would be facing much greater risks and hassles in the coming days. At the same time, it is also necessary to determine if condensation or seepage is the actual source of problem regarding wet walls. You could find it out by a simple test. To do so, dry a small portion or area of your affected wall using a hair dryer or a cloth. Then, tape a piece of about a foot-square aluminum foil securely and tightly to the just-dried interior basement wall. Leave it there for a day or for several days. When you remove the foil, take note which side is wet. If the side facing the room is wet, condensation is the problem. To remedy the situation, you may use a dehumidifier for waterproofing the room. If the side facing the wall is wet, take it as a confirmation that seepage is present. However, you should also be aware that both problems could possibly happen at the same time. If that is the case, you will need waterproofing services. 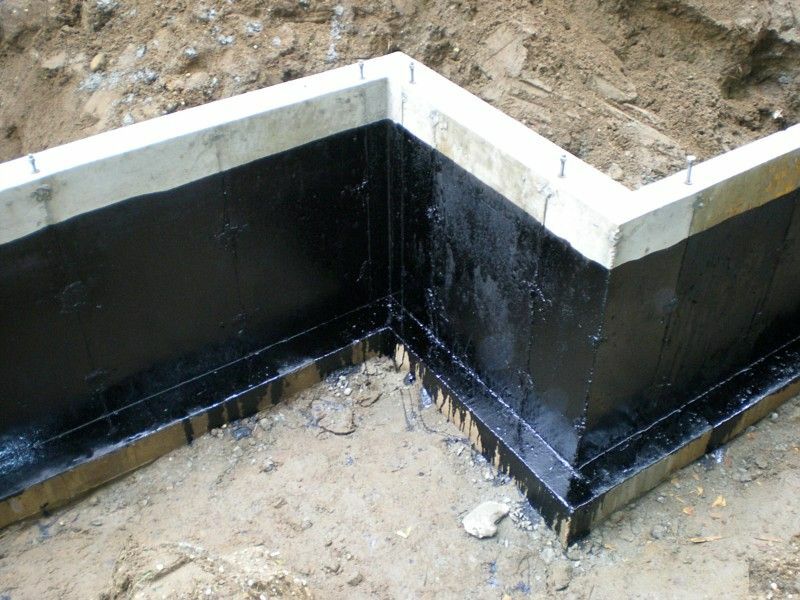 Foundation waterproofing is one aspect you will most likely need. 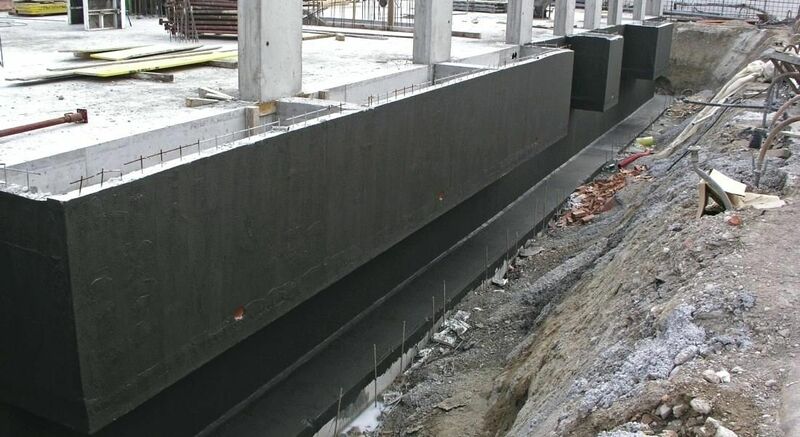 Waterproofing is an aspect that should not be ignored in construction of commercial buildings. The standards in Barbados are high for home and commercial construction but people still cut corners. Moisture and humidity could cause serious damage to any property, over the long period of time. Water and moisture could seep into the crack of the walls and floors, a serious threat to the stability of the structure. A commercial building should be properly monitored over time to determine if there are water seepage and moisture problem occurring after construction. Property managers and owners would often hire commercial waterproofing professionals to inspect if the property is still waterproof. Waterproofing inspectors would check different aspects of commercial inspection like detecting leaks and recommending repairs for it. Inspectors should not recommend “easy fixes” which could eventually cause more serious problems in the future. They would also recommend the proper sealants that would be suitable for the building’s condition and even color. Structural problems are not the only dangers of water seepage, moisture and humidity. These conditions could cause molds and mildew to grow. Such growth could be detrimental to the health of the residents or workers in the building. Severe mold and mildew growth could sometimes cause the building to close down for treatment. Rain and storms are not the only elements that a commercial building should be prepared for. Internal air condensation and water leaks could also contribute to the building’s moisture accumulation. Using permeable or poor materials and badly sealed structures are also factors. There are different kinds of commercial waterproofing which building owners and managers could take advantage of. 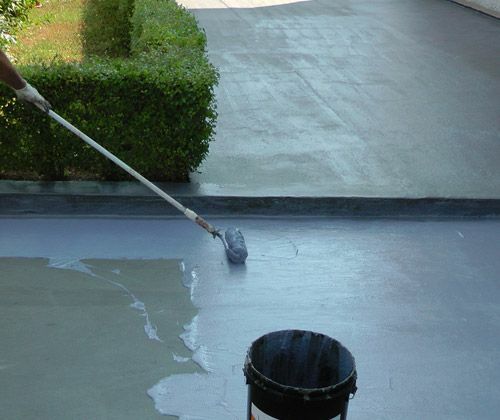 Waterproofing surfaces using sealants, paints, coating plates, epoxic materials, polymer, silicone, plastic and metal coats. There are also waterproofing materials that would help the structure to deal with changing temperature like emulsions and asphalts which are water or solvent-based. Interior waterproofing systems that would remove water which is accumulated inside. A French drain could be used to channel the water out of the building which would be eventually pumped out of the building through a sump pump. Internal waterproofing to keep water out like insulation or membranes applied on walls and floors. Foundation waterproofing for external. Waterproofing protects your property, whether it is residential or commercial, as long as you will be making the necessary steps in choosing the right system for your needs and condition.